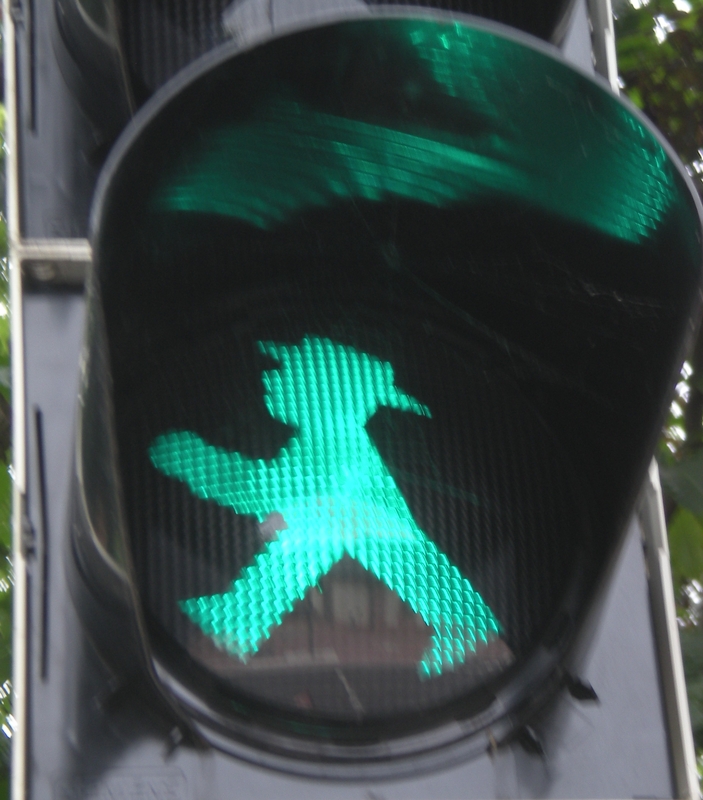 One thing that absolutely fascinates me about Germans is their blind obedience to the little traffic light men. You can be standing at a pedestrian crossing on a road that sees maybe five cars a day (unlikely in Karlsruhe, I admit) but if the red man is visible nobody will cross. Yes, I am aware that crossing the road while the light is red is technically illegal and, in theory, you can be fined for it, but has anybody ever really been fined? And if there are no police around then I’d imagine you’re fairly safe. Admittedly the glares you will inevitably get are pretty scary, but I promise looks can’t actually kill (although your fellow citizens probably wish they could) – I am living proof of that! The other fascinating thing is that no German seems capable of pressing the button to call the green man, or at least nobody over the age of 30. Perhaps it’s a relatively new invention in Germany? There’s one particular road that I have to cross to get home from the shopping centre. I regularly see Germans waiting there. First the cars and the trams go, then the lights for vehicles turn red while the traffic on the cross road goes. At this point, pedestrians could cross too, but the little green man never appears and the Germans wait and wait (well, the older ones anyway. Some people my age will just cross). At some point, the other lights change again, the cars continue on their way, and the pedestrians carry on waiting, eyes fixed on the red man, never seeming to wonder why it hasn’t been their turn to cross yet. This is usually the point where I reach the road, press the button and hey presto, green man! By the looks the old ladies give me, you’d think I’d just performed a minor miracle! Germans… I love them dearly, but they are a strange bunch at times!